"A lot of people look at riches in different ways," the Tishomingo business owner says. "But I figure I'm the richest man in the world because I've got a great family." His life is a reflection of that conviction. Sandy's father worked as an agent for Motor Sales in Ada. He came through Tishomingo once a week to take auto parts orders. He saw that Tishomingo served as a hub between Ardmore, Ada and Durant, Sandy says, so his father opened a Motor Sales branch in Tishomingo. "I was a sophomore in high school when we moved to Tishomingo," recalls Sandy. "I came in the middle of the year, but I was very well accepted." Right off the bat, the Tishomingo community welcomed the Northcutts and made them feel at home. That kindness is what Sandy loves most about where he lives. "The people here are real. They're friendly," he says. After high school, Sandy felt the need to explore outside of his small town, so he moved to a metropolitan area. A few years later, though, he felt the pull of home and returned to help his father run the Motor Sales store. They were joined by Sandy's brother-in-law, who had retired from the army. 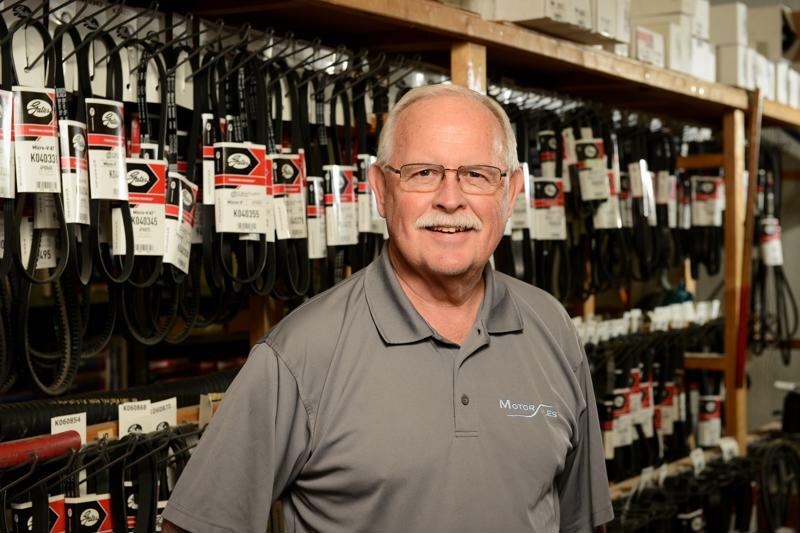 Over the years, Sandy saw opportunities for growing the business, but he respected his father's wishes to play it safe. "He grew up during the Depression, and he didn't like to borrow money," Sandy explains. "He didn't want to do anything unless he could pay for it." Sandy took over after his father's passing. He and his brother-in-law purchased land to build a bigger store. The business grew, with new locations established over the years in neighboring towns. But Sandy was always focused on what was best for his community in Tishomingo. The Chevrolet dealership in Tishomingo had long been one of Motor Sales' best clients, as well as a valuable part of Tishomingo's economy. Starting in the early 1980s, the dealership changed hands several times. Sandy says, "None of them lasted more than two or three years. I talked to another brother-in-law of mine, and thought, you know, we need to keep this dealership in town." In 1987, they bought the dealership. Just as Sandy had spent his youth helping his father around the Motor Sales store, Sandy's three sons worked at the dealership in their teens. Sandy credits his wife, Charolette, with raising Jayson, Joel and Jonathan to be trustworthy and driven. She also helped Sandy with the business every step of the way. Each of the Northcutt sons now operates one of the family's businesses. 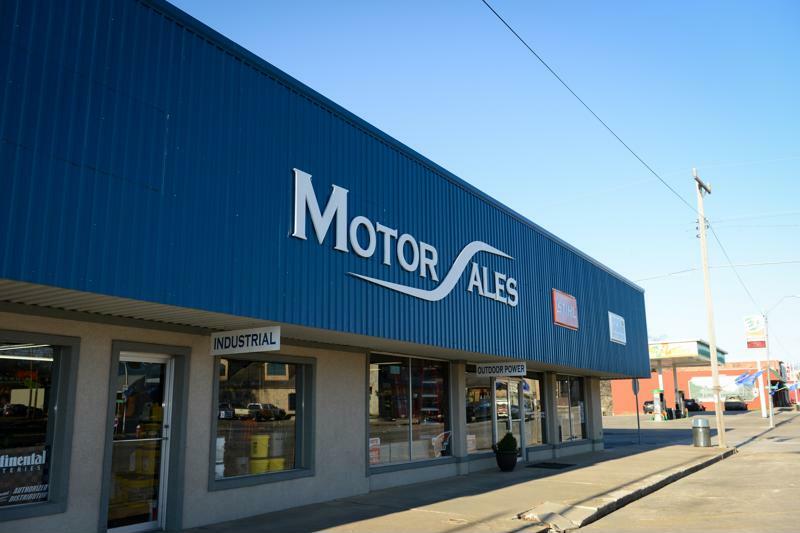 Jonathan runs the Motor Sales location in Madill. Joel runs the dealership. Jayson, the oldest, operates the Tishomingo store along with Sandy and oversees all three businesses. "My dad taught me that if you treat people fairly and honestly, they'll be good to you," Sandy says. "That's what my dad taught me, and it's what I taught the boys." The Tishomingo community has indeed been good to the Northcutts, and he and his family do their best to give back. Sandy has announced Tishomingo High School football games for more than 20 years. He's sat on various community boards, and he and his sons are all heavily involved with their church, the United Church of Tishomingo. "That's what keeps communities going. It's what makes communities what they are," he says about staying involved locally. "This little community is the most benevolent I've seen as far as helping other people out, raising money, and taking care of others. This is the most generous area in the whole world. They do so many good things for so many different people. They're not begrudging, they're not selfish, and they're more than willing to help." He says that the staff of Landmark Bank of Tishomingo are no exception. "I had a little difficulty at the dealership back in '92, and Landmark Bank, together with other members of the community, helped me work it out," he says. "I value them very highly." "They're just like the rest of the folks in town," says Sandy. "They're community-minded. They don't put themselves above anybody else. They don't look down their nose at people. They're caring. This is their home, and they treat customers that way."